Posted on Friday, July 11th, 2008 at 4:27 am. 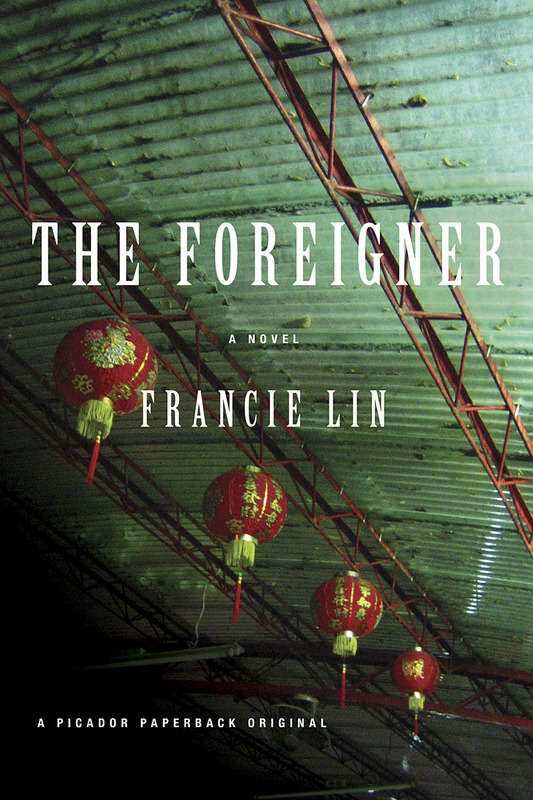 Francie Lin may have never visited the Taiwanese criminal underworld or sang in a seedy karaoke bar, but she has written an acclaimed debut novel, The Foreigner, set in the hidden alleys of Taipei. Emerson Chang is a 40-year-old Taiwanese American virgin who has met his mother for dinner every Friday night for fifteen years. But after her unexpected death, long-buried secrets and family loyalty will take him on an unpredictable journey back to Taiwan—and to the rebellious younger brother lost to him for almost a decade. A June 2008 Book Sense pick, The Foreigner received praise from notable booksellers and publications ranging from the Los Angeles Timesto the Boston Globe, all highlighting her strong writing and vivid portrayal of a dark and complicated world. 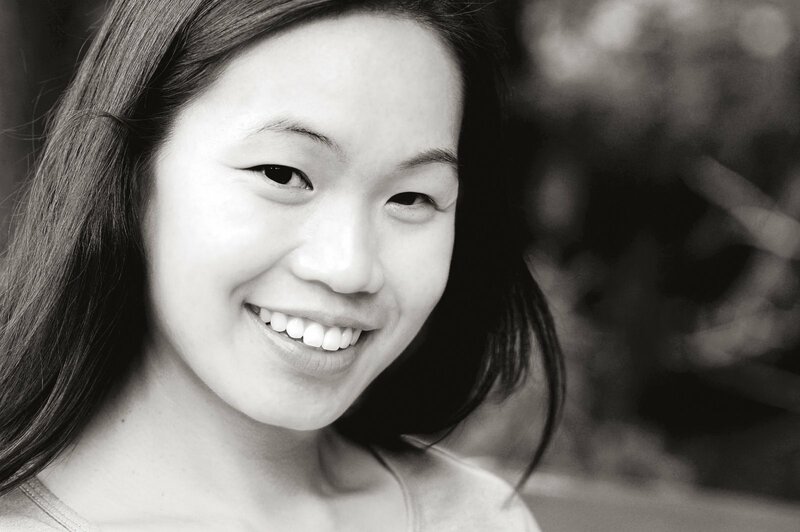 A former editor at The Threepenny Review in Berkeley, Lin graduated from Harvard and received a Fulbright Fellowship to Taiwan in 2001. She currently lives with her family in Greenfield, Massachusetts. The Foreigner is her first novel. Francie Lin will appear at the Asian American Writers’ Workshop in NYC, along with author Don Lee, on Thursday, July 24, 2008, at 7:00 pm. You can also hear Francie talk about The Foreigner on “The Leonard Lopate Show“ on Wednesday, July 30th, at 1:00 pm. Q: Congratulations on your debut novel and the great reviews! What was the inspiration behind The Foreigner? It was kind of a combination of things. I had Emerson’s voice in my head for quite a while, this very timid yet determined male voice, and I wanted to give him a whole book. His dilemma—being somewhat squashed under the thumb of his mother, and feeling frustrated by this—is unfortunately one that I saw a lot of among my Asian guy friends, so I suppose that was something of an inspiration as well. 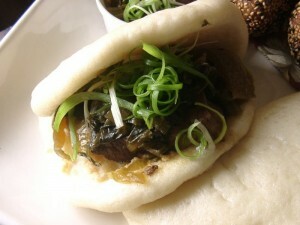 Probably the other major inspiration was Taipei itself. I had such an emotional time of it during the year I spent living there that I wanted to capture some of my initial impressions of the city before they faded away. But at the same time, I didn’t want to write the stock memoir piece about going back and finding your roots. A novel seemed like a good way to cram in lots of details about the streets and shops, etc. without having to say anything too personal about them. Q: It’s interesting that you found fiction the best form to communicate your experiences. I think The Foreigner might be one of the first American novels set in Taiwan. One sees a lot of non-fiction about Taiwan, but not so much fiction. How long did it take you to write The Foreigner? And what were your writing experiences before it? Hmm, that depends on when you start counting. I started trying to write a novel when I was in Taiwan (2001), but nothing much came of that. A couple of years later when I was back living in Berkeley, things finally clicked, and I spent a couple of years writing a first draft, and then there were about 2 years of revisions after I’d sold the book. So I’d say 4 years altogether. Before writing The Foreigner, I worked for a literary magazine in Berkeley calledThe Threepenny Review and wrote short pieces and sometimes longer essays and reviews for it. I also reviewed books for the SF Chronicle and the LA Times. So I was more of a nonfiction writer. Actually, with the exception of a couple of short stories, I hadn’t written any fiction since college until I attempted The Foreigner. Oh, I had a great time that year! It was indeed my first time in Taipei/Taiwan except for a week or so in 2000 to visit a friend, and it was absolutely not what I was expecting. My parents didn’t really go back to Taiwan much when we were growing up, so their memories of Taipei are a little outdated, and I was struck by how futuristic the Taipei I lived in seemed. Something about the crowdedness and the heat and the architecture and department stores mixed with the little alleys and nightmarkets made it seem very exciting. And then my first month there we were hit with a major typhoon. After that I was robbed, and then, back in the States, 9/11 happened. So all that might have contributed to my impression of Taipei as being a rather dark place. (And no, I didn’t have to go to a lot of seedy karaoke bars for research, though I would have liked to!) It wasn’t an impression that lasted all year, though; once I’d made some friends and become more familiar with the city, it became just a nice, convenient place to live. Q: You were robbed!! What happened? I was living temporarily with a friend of my aunt’s, an older retired teacher, near Da An Senlin Park. One night I came back from dinner and then went out again to get a cup of coffee, and when I came back the front door was open. I went inside, and the whole apartment had just been ransacked: all the drawers were torn out of the dresser, and everyone’s clothes were all over the floor. You know how everyone keeps cash rather than putting the money in the bank? My poor landlady lost an astronomical amount of money; I lost some cash, but not too much. I freaked out anyway, though, because I thought I remembered locking the door when I left. In the end, it turned out that I HAD locked the door; whoever it was had gotten in by climbing up the balcony and cutting through the iron bars. Thank god. I think my aunt would have disowned me if I’d been responsible. Of course I’m still very sorry for my landlady. Do I have to pick just one? I guess I’d have to say naiyou bing–I used to eat those constantly, but only the ones that look like hockey pucks, not the other kind. I was also a big fan of guabao, though those were kind of hard to get–had to go all the way to the Tonghua nightmarket, which wasn’t too near where I was living. Ugh, that’s a sore point! My Mandarin was decent by the time I left Taiwan, but now, of course, it’s awful again. My husband teaches Chinese history, and spent several years in China and a year at ICLP during grad school, but his Chinese is now fading too, and we keep trying to figure out how to get a language partner! Anyone out there in the Boston area willing to do a language exchange? Q: The Foreigner has a refreshingly diverse cast of Asian or Asian-related characters with strong needs: Angel Guo with her army fatigues and distaste of men seeking meek Oriental women; A, the troubled white American, and Grace, his sweet Taiwanese girlfriend who may or may not love him; and Atticus, the well-educated and complex former engineer involved in the politics of Taiwan. Are some of these perspectives ones that interest you as an Asian or Taiwanese American? Or are these characters representative of some of the people you have encountered in the Asian or Taiwanese American communities? Well, Atticus’s politics are pretty much my father’s views, though I don’t think he’d go so far as to attempt assassination. I’m on and off interested in the issue of Taiwan independence. Before I went to Taiwan I was pretty pro-independence; now I think that, ideologically, independence would be noble, but practically speaking unfeasible, and probably unlikely. But who knows? Angel is pure fiction, though her indignation about the power imbalance between Taiwanese women and men is something I share. I guess some of the reason is autobiographical, though of course I’m not a 40-year-old man. I do think that a lot of 2nd generation Asian Americans have to struggle a lot if they want some independence from their parents—it’s just not in the Asian family model to let your kids go off and “have a life of their own.” Emerson is just my exploration of the consequences—for one particular personality—of being a good Chinese son in action but feeling emotionally torn between your own individuality and the demands of family loyalty. Q: Again, congratulations on a finely written novel. How does it feel to finish your first book and finally see it in print? I hope you’re enjoying the good feedback! Thank you! It’s wonderful to see the book finally out, and I hope people are enjoying it. The good reviews make me very happy, but then they also make me nervous, as I’m working on my second book right now, and some writing days are better than others. We’ll see! For more information on The Foreigner or to purchase a copy of the book, visit http://us.macmillan.com/theforeigner. TaiwaneseAmerican.org would like to offer a copy of The Foreigner to readers of this website. To be entered in the raffle, send an email to [email protected] with the subject line “The Foreigner” and on July 30th, the winner will be chosen at random. *EDIT* Congratulations to Michael L. of Chicago, IL for winning the raffle! D. Lin works in the publishing industry in NYC.